Hello everyone! I am so excited and honored to be guest designer for Clearly Besotted for the June release! I love the cute images of this lovely stamp company. 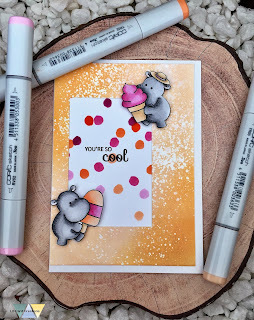 I hope you will be inspired by my card creations. 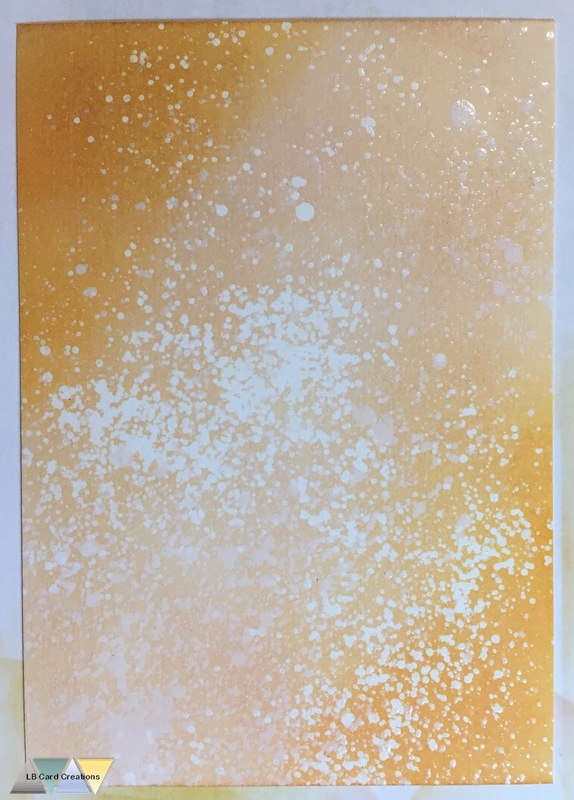 I started with my background using the distress resist spray on a watercolor cardstock. Then I applied dried marigold distress ink on top of it and used the spray again. Last but not least I also added some spiced marmalade distress ink on two of the edges. I diecut a small rectangular window from the background. 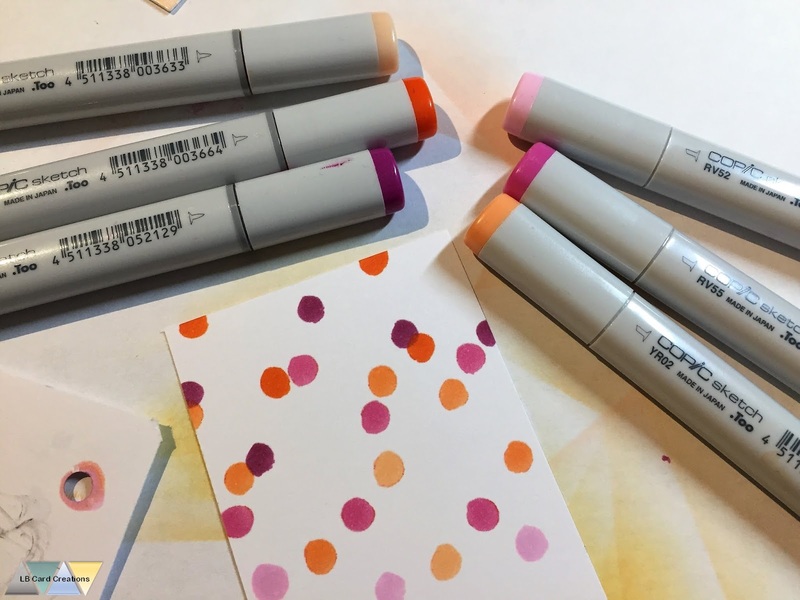 Then I used a white cardstock and added some dots with Copic markers. I had created my own small stencil for this (just use a whole puncher and use the negative piece as a stencil) In the middle of the window I stamped the sentiment included in the set. 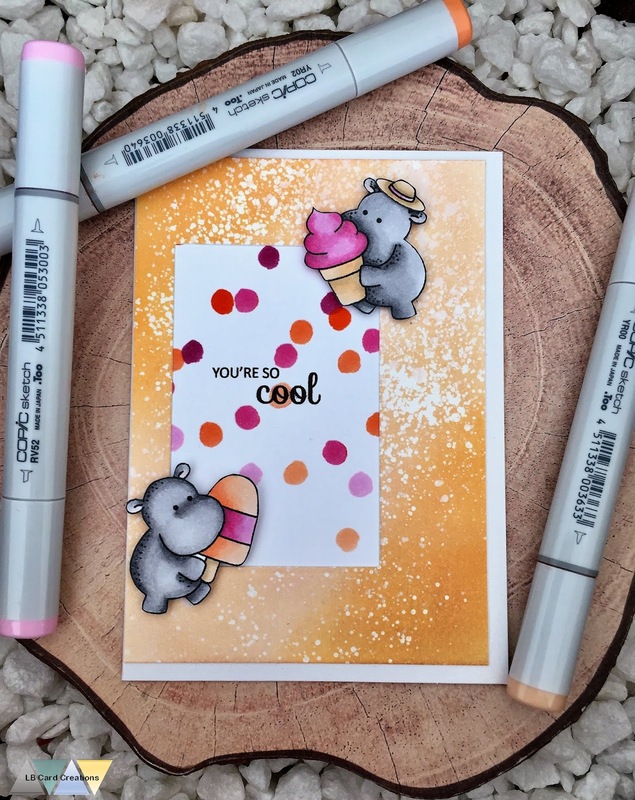 I chose two of the cute hippos and colored them in with my Copic markers. I added some dots to create more detail. 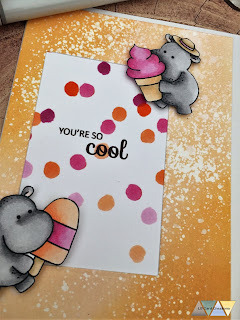 Last but not least I adhered the hippos with foam dots to the background.